The average human body is about 70% water. Water is so central to our well being that while a person can live for a few weeks without food, a person can’t survive more than a few days without water. Having access to clean water is something many of us take for granted. The water that comes out of the tap is perfectly fine, but there is an easy way to make it almost perfect. There are dozens of water filters out in the market. Unlike conventional gravity-fed water filters, ZeroWater’s 5-stage ion-exchange filter is designed to remove everything from the water but the water. The ZeroWater package comes complete with everything needed: dual access pitcher, filtering reservoir, lid, and 5-stage filter. 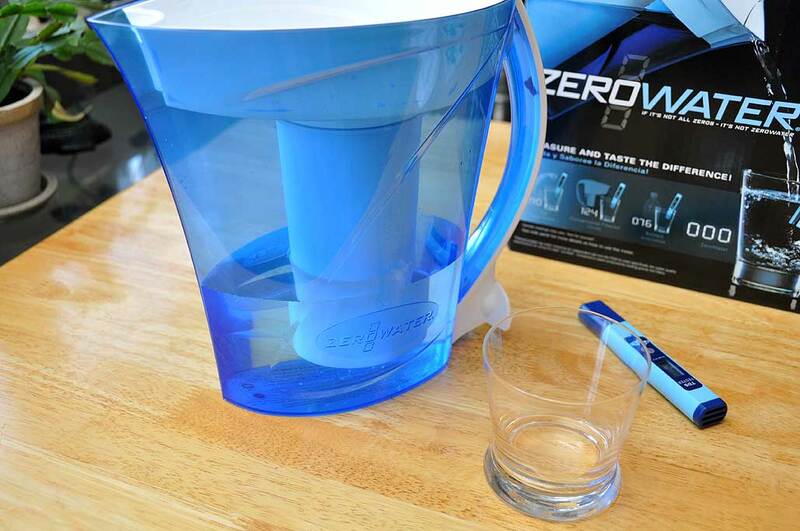 ZeroWater is so confident in their product that they include a laboratory-calibrated water tester in the package. Total Dissolved Solids (TDS) is a measure of the amount of dissolved substances (in parts per million) in the water. 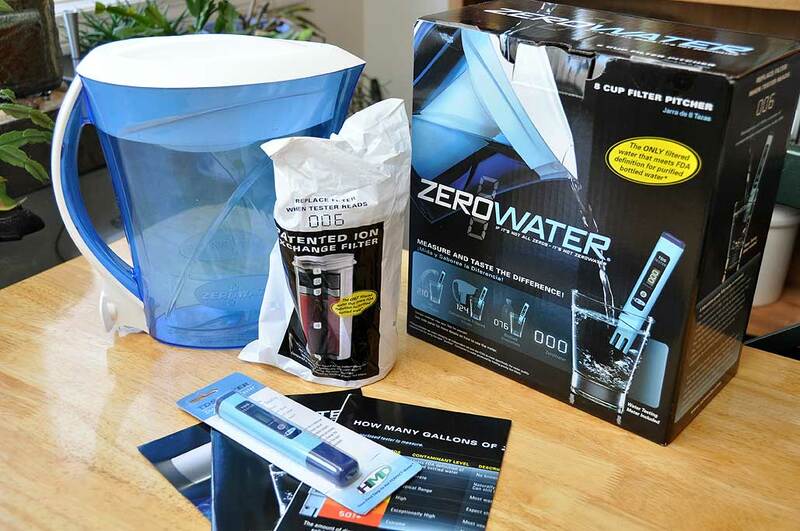 How hard the ZeroWater filter will have to work depends on the quality of the water (level of TDS) being used. Assembing the filter is a straightforward process. The filter screws into the reservoir from the bottom. There is an integrated silicon 0-ring in the filter for a water-tight seal. Once assembled, the unit is lowered into the pitcher and ready for use. To use, fill the reservoir with cold tap water and let the filter do its thing. The rate of filtering is automatic. It took about 4 minutes (with a new filter) to filter one full reservoir of water. The filtered water may be poured from the pitcher spout on the top or from the bottom via the push-button spout. Now that we have some ZeroWater, we plan to give that probe a workout. In our FirstUse write-up we’ll see how it compares to: the Pur filter we have been using on the kitchen faucet; a few different brands of bottled water; and Boston’s own tap water. It could be quite an eye-opener!